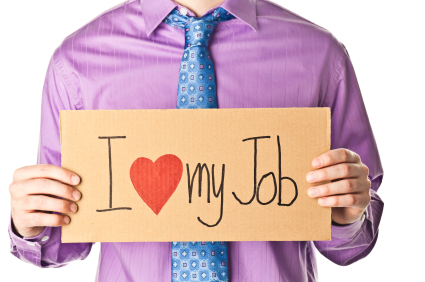 What do employees really want from their job? Despite the uncertainty in the economic climate, recent figures show that the number of jobs is on the rise. Combine this with the fact there is a growing skills gap, it means that it’s a candidate’s market, with more opportunities and more competition for top talent. According to The Recruitment and Employment Confederation (REC), June saw starting salaries rise at the fastest rate in three years and whilst money is generally the biggest motivator behind career choices, businesses need to start thinking about what else they can offer in order to attract and retain the top talent in their industries. Corporations such as Google, Pixar, Facebook and more have cultivated innovative working environments designed to get the most creativity from their employees. Perks include, free access to fitness centres, on-site childcare, gourmet meals and generous holiday allowances to name just a few. How can smaller businesses compete with this? The answer begins in firstly finding out what your employees really want and then prioritising what you can deliver within the functionality of the business. Research by Powwownow cited that flexible working is one of the most favourable elements of a role; including both the hours worked and location. This can be important for a huge range of reasons and if implemented correctly, can increase motivation and productivity levels. The digitalisation of the workplace has almost removed the possibility of “clocking off,” with most employees accessing emails in the evenings, weekends or on their commute to work. However, the benefit of easily accessing work in any location should, in theory, make it fairly simple for employers to implement flexible working solutions. It sounds simple but being respected and empowered to do the job is also very important. Management styles have evolved over the years with many moving away from micro management and giving staff more autonomy to make their own decisions. Many businesses encourage new starters to challenge the status quo and welcome new approaches. Trusting employees to use their own initiative to reach success builds confidence and mutual respect. Often it can uncover skills and passions they may not have even known they had. Remember that empowering staff to do their job doesn’t mean simply giving them permission, you need to make sure they fully understand and support the vision, and have the technology and resources available to achieve it. Millennials are eager to enhance their skills set and since they are set to dominate the workforce population it is wise for employers to acknowledge this. 42% of millennials deemed learning and development as the single most important benefit when choosing a job. Be sure to offer a clear pathway for progression as well as opportunities to develop skills in their role and other roles in the business. Mentoring programmes are another great way to offer insight and give millennials regular feedback and a collaborative approach to their progression, all things that appeal to their needs. By regularly engaging with them, managers are given an early opportunity to spot signs of discontent and can address these. A healthy workforce is key to all aspects of a business; including turnover, attrition rates and productivity levels. In office-based roles where staff spend most of their day at their desk, it can be hugely beneficial to provide health related perks such as gym memberships, in house fitness or mediation classes and healthy food options. The positive impacts will be seen across the organisation. It can be a tricky balance between enabling your workforce to be healthy and preaching to them. But with more public awareness of the importance of physical and mental wellbeing combined with the huge benefit for employer and employee, it is wise to be an enabler. For those already into health and fitness it will be seen as a real attraction, perhaps saving them valuable time having to go to the gym after work and those less into exercise will become more informed to make healthier choices. Plus, they are still likely to take a healthy snack if it is free and easily accessible! Working with a purpose is one of the most underestimated desires of the workforce and has become even more prevalent since millennials entered the workplace. Most people work to earn a living but for a generation who, according to “The 2017 Deloitte Millennial Survey”, feel a personal connection to big issues like social injustice and climate change, this isn’t enough. Millennials in particular want to feel they are contributing to society and making a positive difference. Employees who feel they are working with purpose are more likely to feel engaged, their productivity will be higher, and their morale enhanced. So how do you implement a culture of working with purpose and how do you measure it? Creating a company vision and working together as a business towards is a good place to start. Many businesses work in teams and forget to demonstrate to their workforce how they come together to create success. By reminding them and showing their overall impact you will widen their vision to the bigger picture. Gratitude is also an easy, yet essential element. Share success stories, celebrate achievements and acknowledge smaller successes as well as the big ones. It will work wonders for staff morale. There is never going to be one realistic solution to give all employees exactly want at work, but if businesses demonstrate that they truly value their staff and are paying attention to their needs, this will already make improvements to the overall culture of an organisation. Improving on the areas most important to your staff will ensure you attract and retain talent and build a reputation of putting your people at the centre of your business. For more information and advice on HR topics, click here.